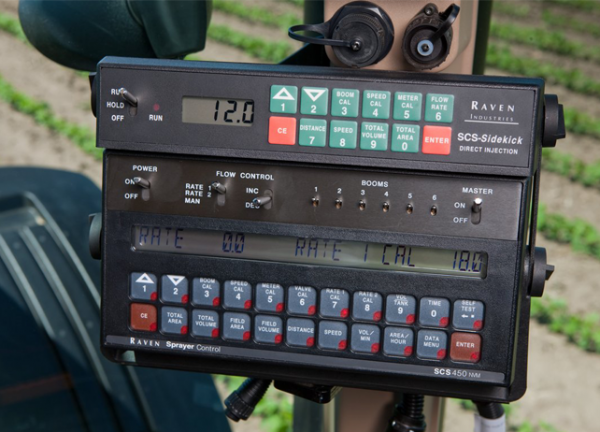 Raven's SCS 450 sprayer controller provides precision product automatic rate control for up to six boom section inputs. Two separate application rates can be pre-programmed into the controllers and selected 'on the go' with a simple flip of a switch. The SCS 450 is compatible for variable rate application and data logging. Console includes Serial Interface for Bi-Directional Communication and Printer Port.